Home / San Diego Vasectomy Blog / Vasectomy Alternatives / Vasectomy Alternatives: What Are My Options? 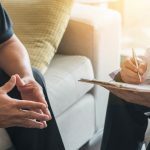 For couples considering whether having a vasectomy is the right decision for their family-planning needs, the question of whether options other than the procedure are viable may come up. There are vasectomy alternatives you can consider, and ultimately it is up to you and your partner as to which option is best for your relationship. We’ve outlined some options for couples to discuss below. Tubal ligation refers to a procedure in which the female partner will undergo surgery to have her “tubes tied”; her fallopian tubes will be closed off (either sealed, pinched, or severed) so eggs are blocked from reaching the uterus and pregnancy will no longer be possible. It is also known as a form of female sterilization. Comparatively to a vasectomy, tubal ligation can be more costly, invasive, and is considered to be major surgery. A vasectomy, on the other hand, is generally cheaper and requires only 10-30 minutes spent at your surgeon’s office. This vasectomy alternative also places family-planning responsibility on the female partner. There are a number of birth control options available for women, both short and long term. Long-term options include implants that can be placed in the female partner’s arm or an IUD, with a duration of effectiveness that can range from three to five years. Conversations about family planning are important, as you’ll be ensuring that both partners are on the same page as to whether their family is complete or they’re both open to trying for a pregnancy in the future. Many methods of birth control place responsibility on the female partner of a relationship, but a vasectomy is an effective, noninvasive option for permanent birth control that involves only the male partner. Does a Vasectomy ‘Beat’ Birth Control? What Happens if My Vasectomy Fails? How to Talk to Your Friends about Having a VasectomyWhy Do Fears of Vasectomies Persist?